As the old saying goes, there are no problems with dual class of share companies – until there are problems. All of which leads to the logical conclusion that such structures should not exist in the first place, or if they do exist then they should come with either sunset provisions, or a shareholder vote at say the company’s first annual meeting. Indeed the ramifications of such a structure are being played out over the summer with two well-known Canadian companies. Later this month shareholders of Fairfax Financial will be asked to preserve, for 10 years, the 41.8% voting power held by its founder Prem Watsa (irrespective of the voting power he actually has.) In return, certain restrictions are being placed on Watsa. Now comes word that Quebec-based Alimentation Couche-Tard is also planning to put a motion to its shareholders at its upcoming annual meeting to amend its articles of association. The company, like Fairfax, has been a success story both in terms of growing its business and in rewarding its owners. (How successful? An original shareholder in 1986 has gained 650 times on that investment.) Now it wants its shareholders to change the original articles put in place in 1995. The original agreement would also have automatically ended if and when the founders held less than 50% of the voting rights. According to the circular for the Sept. 22 meeting, the founders own a healthy 60.36% of the voting rights. The founders are also large shareholders owning 22.7% of the outstanding shares. The first part of that proposal is not quite open ended but there is no known end point. One of the four founders – and let’s hope for theirs and their family’s sake they do – could live a long time and remain a director. In Fairfax’s case there is a known 10-year limit. And unlike Fairfax – which has been working on the process since early last year – the Couche-Tard proposal started in late May when the founders advised the company of their wish for a change to the articles. Two plus months later the proposal, which is less complex than Fairfax’s, was ready for the shareholders. As with Fairfax, Couche-Tard argues the proposal will allow the founders to build on the strong foundation that has been established and to maintain the corporate culture. I recently sat down with a woman who is the embodiment of this quote. She is a self-made real estate developer dynamo who has hurdled over massive challenges, stomped on stereotypes, and busted through glass ceilings to rise to the top of her industry. 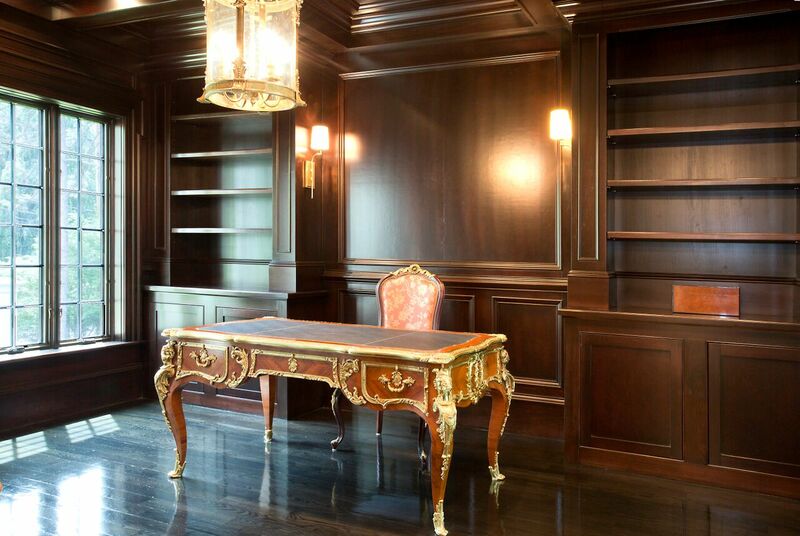 She is Cindy Stumpo, one of the most successful luxury home developers in Boston. 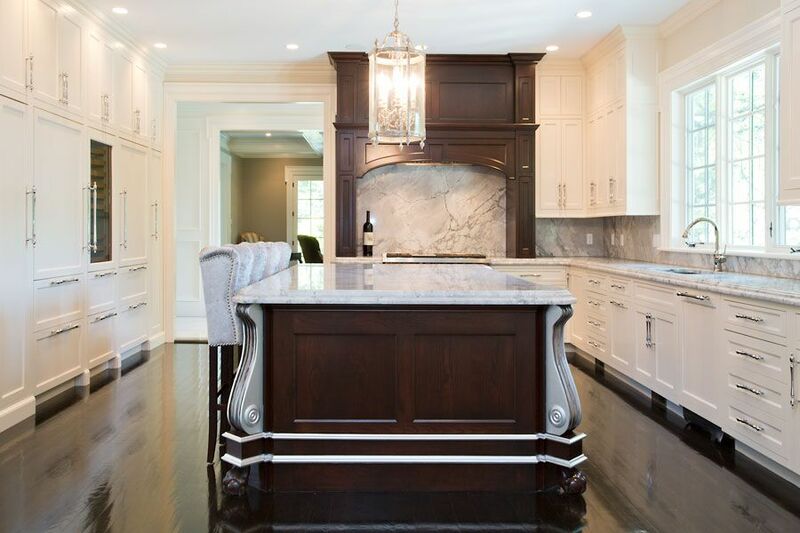 Stroll through the most prestigious neighborhoods in Newton, Belmont, and Brookline, on the outskirts of Boston, and it won’t take long to find a signature Stumpo luxury home. She has built hundreds of homes, and you know you’ve found one when you find an artistically jaw-dropping property with wide open spaces, the absolute best in amenities and design architecture, and immaculate landscaping. Think Four Seasons, Bentley, Prada, and C. Stumpo Homes. The affluent seek out Cindy for the same reason they seek out all the other elite brands; because it’s either the best, or not at all. I recently sat down with Cindy to learn from this female powerhouse about what it’s like to live, lead, and build empires in a man’s world. Here are Cindy Stumpo’s four lessons on creating an empire that is built to last. Great People are Irreplaceable: Cindy says that the backbone of her real estate development empire is amazing people. Many of her sub-contractors have been with her for decades. Her office manager has been at her side for ten years. Even her vendors have become lifelong friends. Cindy notes that we live in a world where people chase a dollar, but what they miss is that the real value of any business, the real value in life, is people. For example, Cindy says that in the construction business there are many builders who will jump vendors because of pricing. Cindy says that this is absurd. Who cares if you can save a few bucks by going down the street if you no longer get to work with the salesman who knows you, understands your business, and will go above and beyond to make sure you are satisfied? Cindy says that loyalty is the number one attribute she looks for in every relationship. Loyal people are irreplaceable.Everything else can be taught. While droves of builders have come and gone from the Boston marketplace, Cindy has remained a fixture for 25 years. How? According to Cindy she has built a legion of loyal sub-contractors, vendors, and employees who she considers family. They will do anything to ensure that the C. Stumpo luxury home brand remains number one in its class. How does Cindy repay her team for that kind of loyalty? Easy, she pays them back with the same loyalty they give to her. She will do anything for her people, including subcontractors, employees, vendors, and clients. The last thing she will ever do is trade people in for better pricing. Says Cindy, luxury brands are built by amazing people and those kinds of people are always, always, always irreplaceable. You Can’t Have a Mercedes with a Toyota Engine: Stumpo is fanatical about her work. When it is 95 degrees on a hot summer day, you will find Cindy Stumpo on the job site. When there is eight feet of snow on the ground and icicles on your eye lashes, you will find Cindy Stumpo on the job site. As an entrepreneur, Cindy says that it is absolutely, unequivocally, necessary to become a great delegator. She also says it’s the one area she struggles with most in business as she is a self-proclaimed control freak. Over the years she has slowly learned that some things can be delegated, but there are many things that can never be. Cindy says that whatever the engine of your business is, it must be overseen by you, because the engine of your business is what you will be known for. Like Cindy says, if you put a Toyota engine in a Mercedes, you really only have a Toyota. There are two areas of the business in which Cindy never delegates. First is the architectural, design, and mechanical details of each home. She personally inspects everything for quality because it’s her name and her reputation on every little piece of that house. If she finds something that’s not perfect, she will have her subcontractors rip it out and do it over. Quality matters. The other area of the business that doesn’t get delegated is customer service. 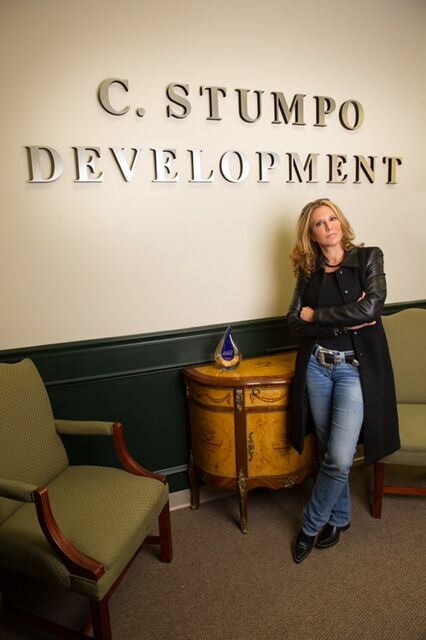 Stumpo says that when a customer calls her, whether it’s midnight on a Friday night or 6am on a Saturday morning, the phone will be answered by one person and one person only, Cindy Stumpo. Cindy says that she’s obsessive about quality for many reasons, one of which is that she’s going to be the one to answer for the team’s work. Cindy says that her hands-on approach to working with the customer is a differentiator. Her customers have her cell phone and she’s a phone call away for any questions and concerns. In Cindy’s business, there are two components which are the engine of the business, product quality and customer service, and they are so important to her brand that they are impossible to delegate. Outward Appearances & Panic Attacks: From an outsider’s point of view, Cindy Stumpo has it all. She’s beautiful, business savvy, and driven. She is achieving all of her big dreams in life while doing what she loves. She’s got it all, right? Not quite. “What’s the one thing you want other entrepreneurial women to know,” I asked Cindy. She said that she would want other women to know that when you look at successful women, there’s almost always a back story. What you see on the outside is just the cover. For Cindy, her back story goes a little like this: Her brother died more than 25 years ago at the young age of 28. He was her only sibling and the loss was devastating to Cindy and her parents. Since then, Cindy has suffered from crippling panic attacks. She’s had them at the mall, to the point she never shops at a mall alone. She’s had them while driving, to the point that she’s had to pull over to the side of the road, paralyzed, depending on strangers to help get her home. She’s even had them on build sites in front of her customers and subcontractors. The attacks are paralyzing and there is usually no notice that they are coming. Cindy says that she has every reason in the world to lock herself up in her house without coming out, because the attacks are real, devastating, and unpredictable. Yet, she chooses to always get back on the horse. Cindy says that everyone you meet has a demon they are fighting, and for her it is her panic attacks. She says that when you look at women who seem to have it all, realize that there’s a back story. Cindy says that success is hard, dirty, heart-wrenching, and sometimes immobilizing, and that winning is simply a matter of figuring out what you personally need to do to get back on the horse when life keeps knocking you off. Haters Gonna Hate, Hate, Hate: From day one, Cindy Stumpo has amassed a group of doubters and haters. Twenty-seven years ago, when she first launched her development company, many of the other builders in the area wanted to see her fail. It was Cindy’s dad who taught her that she should view anyone who has an opinion about her, good or bad, as someone who is paying a compliment. Her dad told her that when you evoke positive or negative emotion in another human being, then that person is saying that you matter enough for him or her to care. According to Cindy’s dad, “When they stop talking about you, that’s when you know you don’t matter anymore.” Having built luxury homes on the outskirts of Boston now for more than 25 years, Cindy has turned many of her original haters into fans because she’s proven herself in the industry. Furthermore, she has a reputation for helping her competitors sell their homes too. Cindy lives by the mantra, “Never say about someone else what you wouldn’t like said about you.” She will never knock the competition or their product. Cindy explained that as she sees it, she’s not an expert in the competition’s product or business methodology, so she can’t speak to that. What she can speak to is her own brand, her own quality, and her own way of doing business. Cindy explained one story where she had a potential client who was deciding upon two homes, one was Cindy’s and one was another builder in a different part of town. The clients wanted Cindy’s house, but they really wanted the other lot. Cindy encouraged them to take the other house so that they would be in the area of town they wanted. When the clients went and met with the other builder, he started bad-mouthing Cindy’s product. The clients saw through the façade and decided working with Cindy was worth sacrificing the lot they wanted, and so those clients now live in a beautiful, custom built, C. Stumpo home. As a female entrepreneur myself, it was invigorating to meet someone like Cindy. Her story and the lessons she shared would make for an amazing article, even if she were a guy. But, the point of the story is that she isn’t. She’s smart, stylish, aggressive, and fierce. My dad always told me growing up that anything boys can do, girls can do better, and I’ve spent the past 20 years of my entrepreneurial career trying to determine if that’s true. Having spent one morning with Cindy Stumpo, I’m quite sure I’ve found my answer. Photos courtesy of George Lucozzi, ASA Photographic. You Can’t Have a Mercedes with a Toyota Engine: Stumpo is fanatical about her work. When it is 95 degrees on a hot summer day, you will find Cindy Stumpo on the job site. When there is eight feet of snow on the ground and icicles on your eyelashes, you will find Cindy Stumpo on the job site. As an entrepreneur, Cindy says that it is absolutely, unequivocally, necessary to become a great delegator. She also says it’s the one area she struggles with most in business as she is a self-proclaimed control freak. Over the years she has slowly learned that some things can be delegated, but there are many things that can never be. Cindy says that whatever the engine of your business is, it must be overseen by you, because the engine of your business is what you will be known for. Like Cindy says, if you put a Toyota engine in a Mercedes, you really only have a Toyota. There are two areas of the business in which Cindy never delegates. First is the architectural, design, and mechanical details of each home. She personally inspects everything for quality because it’s her name and her reputation on every little piece of that house. If she finds something that’s not perfect, she will have her subcontractors rip it out and do it over. Quality matters. The other area of the business that doesn’t get delegated is customer service. Stumpo says that when a customer calls her, whether it’s midnight on a Friday night or 6 a.m. on a Saturday morning, the phone will be answered by one person and one person only, Cindy Stumpo. Cindy says that she’s obsessive about quality for many reasons, one of which is that she’s going to be the one to answer for the team’s work. Cindy says that her hands-on approach to working with the customer is a differentiator. Her customers have her cell phone and she’s a phone call away for any questions and concerns. In Cindy’s business, there are two components which are the engine of the business, product quality and customer service, and they are so important to her brand that they are impossible to delegate. OTTAWA — Where’s the recession? Like finding Waldo, a lot depends on who’s doing the looking and what they’re looking for. Some can see “red” across the board. For others, nothing seems to jump out and catch their eye — game over. Since the start of 2015, Canada’s economy has been in a “now-you-see it, now-maybe-you-don’t” recession pattern, with seemingly contradictory data from one week to the next. Fueled by the speed and depth of the plunge in oil prices, the country’s overall output — as well as government energy revenue — has been levelled, something few could have foreseen even a year ago. Sure, North America was hit early on by worse-than-usual winter conditions. The United States also had to deal with the impact of labour disruptions at its major West Coast port facilities. But that was just for starters. Fanning those headwinds now is uncertainty over the slowdown in China’s economy, coupled with the forever-and-another-day debt crisis in Greece and its possible ripple effect on the rest of Europe. China’s surprise devaluation of its currency this week “puts further downward pressure on commodity markets, which have been hit hard by weakening global demand and excess supplies,” says Sherry Cooper, chief economist at Dominion Lending Centres. Already, there are worries that resources-dependent provinces — Alberta, in particular — may already be in recession. Newfoundland and Saskatchewan are also at risk of a downturn. Data for other sectors — such as manufacturing, construction and exports — can routinely disappoint, but sometimes also surprise. And now, we find ourselves in the midst of a federal election campaign. “While the rest of Canada is growing, the debate about the state of the overall economy continues to roil in the red-hot lead up to the October election,” Cooper says. We’ll know the results of the federal vote on Oct. 19. But the future of the economy will unfold in its own time — as the numbers roll in. Statistics Canada — the granddaddy of data — is the guardian of most of the numbers that paint, in big and small strokes, the picture of the country. That includes monthly gross domestic product, and whether output is rising or declining, and at what pace. Same for inflation, the Bank of Canada’s dominant — and mandated — policy concern, though we rarely hear about it these days, what with the “R” word hogging the limelight. Interest rates are the central bank’s paramount tool and Governor Stephen Poloz has been wielding it since January, when he cut policymakers’ key lending rate to 0.75 per cent from one per cent — a level previous unchanged since September 2010. Poloz did it again in July, lowering the rate to 0.5 per cent. All bets are off on where and when the next rate adjustment may come. A lot depends on data during the next couple of months, and whether the Federal Reserve — the U.S. central bank — begins hiking its borrowing costs in September, as many anticipate. A recession or a hiccup? So far this year, Canada has experienced five consecutive months of economic contractions — a first-quarter decline of 0.6 per cent, followed by a 0.1-per-cent in April and 0.2 per cent in May. Technically, that puts us only one month from the broad view that two straight quarterly declines equals a recession. All tallied, that would be the worst run since the 2008-09 global downturn. This is where things get cloudy. “While I don’t totally rule out this period being a recession, I would still think it’s too early to make that call,” says Douglas Porter, chief economist at BMO Capital Markets in Toronto. “And I don’t think it’s helpful to be jumping in and trying to officially say that this is a recession — because sometimes these things can actually feed on themselves a little bit,” he says. Job losses — still a work in progress. David Madani, at Capital Economics in Toronto, acknowledges that Canada is probably in a “mild recession” — based on a decline in overall economic output — but there has still been job growth. Two related sectors — manufacturing and exports — highlight Canada’s see-saw economic data since the last recession, as many companies have been criticized for having “dead money” on their balance sheets and not investing to expand production and widen their markets, relying instead on the weak Canadian dollar to grow. “You just can’t assume that a low dollar is going to make Canadian products more competitive and build market share in the United States,” says Jayson Myers, president of Canadian Manufacturers & Exporters. Those concerns were in focus on Friday when Statistics Canada reported that manufacturing sales edged up 1.2 per cent in June, well below economists’ forecasts for a 2.7-per-cent increase and still down five per cent from a post-recession peak in July last year. Manufacturing had been expected to snap back after a surprising turnaround in exports during June. It may be one of the Bank of Canada’s main policy concerns, but the lines are getting blurred. Yes, record-high household debt is a worry when and by how much interest rates go back up — putting pressure on borderline borrowers who may not have the ability to make those higher loan payments. On the other hand, we still need consumers to borrow and spend — just as they’ve been doing since the last recession, when households almost single-handedly pulled Canada out of the gutter. “The big picture is that car sales are headed for another record high this year. Home sales are going to be close to an all-time high. So, consumers certainly aren’t reluctant to plunk down money on big-ticket items. To say the least, that’s extraordinary if this was a period of recession,” says BMO’s Porter. “I think the huge irony here is that housing — the one area that everyone thought was the great vulnerability of the Canadian economy and the one big worry — has actually been, arguably, the strongest part of the economy in 2015, the one thing that probably saved us from a broad-based downturn,” he says. Going forward, Canada will need more companies and more sectors to muscle up. Until then, the Waldos of the economic world could remain as elusive as they have been since the last recession. Rhonda Barnet, vice-president of finance at Steelworks Design Inc. in Peterborough, Ont., which designs and builds custom machinery for global customers, has been on the front lines of the manufacturing sector on both sides of the border. “Last year, oil and gas was smoking hot. It was all I could talk about,” she says. Now, the U.S. “is a hot market,” after starting to pick up in May and June of 2014. “I am still not convinced that (Canada) is a full-blown recession. I think it’s a recession in certain industries. So, we should be careful not to paint the whole town with this brush,” Barnet says. Apple has updated its breakdown of employee demographics, first reported in August of last year. And while the needle hasn’t budged much—at least percentage-wise—the company says it has hired more diverse candidates in the past 12 months than in any other year. According to head of human resources Denise Young Smith, more than 11,000 women have been hired worldwide in the last year, a 65% increase from the year before (for some more perspective, the company employs over 110,000 people worldwide). In United States, 2,200 black employees and 2,700 Hispanic employees were hired in the same time frame, representing increases of 50% and 66%, respectively. And in the first six months of this year, nearly 50% of Apple’s U.S. hires were women, black, Hispanic or Native American. “It is the leader and leaders of a company that really sets the tone and articulates the commitment [to increasing diversity],” says Young Smith. Earlier this year Apple announced it would invest more than $50 million in diversity efforts, partnering with the likes of the Thurgood Marshall College Fund. This week the company unveiled another partnership with Code2040, which runs a fellowship program for black and Hispanic entrepreneurs. Other companies, like Intel, are also putting their money where their mouth is, investing in diversity efforts and adopting more inclusive hiring practices. The efforts are leading to very slow progress, though it is progress nonetheless: Apple’s 2015 breakdown shows that the company’s employee base is still 69% male and 54% white; in 2014 it was 70% male and 55% white. But while one percentage point doesn’t sound impressive, it does reflect thousands of new, more diverse employees, and—as Young Smith admitted—it is just a start. (Reuters) – Apple Inc said it had hired over 11,000 women globally in the past year – 65 percent more than the previous year – to boost employee diversity. Android security woes got worse on Thursday, with two separate reports of code defects that put millions of end users at risk. The first involves the update Google released last week fixing a flaw that allowed attackers to execute malicious code on an estimated 950 million phones with nothing more than a maliciously crafted text message. Seven days later, security researchers are reporting that the patch, which has been in Google’s possession since April, is so flawed that attackers can exploit the vulnerability anyway. NEW YORK/SEOUL (Reuters) – Samsung Electronics Co Ltd unveiled a new Galaxy Note phablet and a larger version of its curved-screen S6 edge smartphone on Thursday, marking a fresh bid by the South Korean company to revive momentum in its handset business.